A litigation expert with experience on some of New Zealand’s most well-known cases has left Russell McVeagh to join boutique firm Anderson Creagh Lai as a director. Simon Cogan says he was attracted to the firm because of its unique “lean” model that allows it to assemble case or project specific teams to resource bigger jobs. This means the firm can gear up for the large jobs without the permanent overheads, and choose a team on a best-skills basis. “I guess it’s a case of wanting to take the experience from 14 years in the big firm environment and use it in a new environment with a bit more flexibility – there is the same quality of people,” Cogan told NZ Lawyer. Cogan worked at Russell McVeagh for six years, before jumping over to London – a trail trodden by many Kiwi lawyers, he says – to work at Ashurst for two years. He then returned to New Zealand and Russell McVeagh right at the start of the GFC, in 2008. High-pressure environments like this always throw up a raft of interesting issues, and it’s important to be light on your feet and become increasingly creative with solutions, he says. 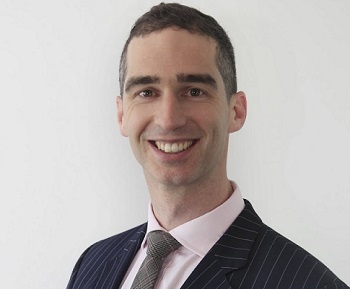 Cogan has worked on some of the most major public cases throughout his years as a litigator, including acting for Pyne Gould Corporation Limited in the Canterbury Earthquakes Royal Commission of Inquiry, and advising the International Rugby Board in connection with the Rugby World Cup 2011. He says the most notorious case he’s been involved in would have to be in the mid-2000s when he acted for the French agents who bombed the Rainbow Warrior. His appointment at Anderson Creagh Lai was in response to the firm’s growth over the past three years to the point where specialist litigation experience was needed to supplement the commercial and property advisory aspects. And although in the past the firm’s focus has been on business and commercial law, it has been doing an increasing amount of litigation support and disputes work, often for the bar on reverse briefs and in complex commercial and property disputes. “[The litigation] is a practice that came to be valued quite highly by the senior bar who have responded favourably to having solicitors who have a depth in instructing. There has been an organic growth. Litigation was the next logical step, and we’ve got the in-house expertise to resource these instructions,” says Cogan. After about a week in the job, he says it’s been striking to see just how well a smaller model that doesn’t take a “one size fits all” approach functions. “Where the opportunities are is with things that are a little bit leaner but with the ability to scale up and build a team to service an individual instruction. It means the client gets a tailored solution rather than an off the peg you might get with one of the big firms,” he says. It’s the way firms of the future are heading as users of legal services become more sophisticated and want the ability to pick and mix on demand, says Cogan, before adding that there will always be a place for a one stop shop model too. “I think it’s inevitable. I don’t think there is going to be a complete sea change in the legal market, but increasingly the status quo is going to change and there is a re-calibration taking place,” he says.